Investing in people doesn’t just mean financially. Investing in time improves relationships, builds strong business foundations and increases productivity. For corporate entertaining, staff parties, team building or off-site meetings, our recently restored and fully-equipped Manor House offers flexible choices for ‘time out’ which will impress and inspire staff and clients alike. From catered events for up to 120 guests, to hosting small, intimate working groups, to running outdoor activities in 66 acres of parklands, this stunning environment will meet your individual business needs and exceed your expectations. The Manor can be booked exclusively or by room and for day use or overnight stays. With 5 rooms that cater for up to 120 guests, to hosting small, intimate working groups, to running outdoor activities in 66 acres of parklands. With 13 on site bedrooms, properties available just down the road and links to very close hotels we can accommodate any size group. Our team of onsite experienced chefs can offer bespoke food options to suit all tastes. 66 acres of grounds housing onsite Segways, obstacle course, laser tag and archery are perfect for all team-building requirements. With delegate rates starting from £25 per person we can meet most budgets. Whether you require exclusive use of our Manor for your corporate Christmas party or just want to join others on our set evenings we can accommodate all. Enjoy Old Down Estate on these terrific two-wheeled vehicles. Receive quick instruction and motor your way through a range of activities. 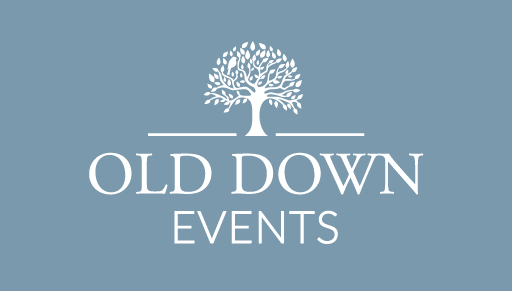 Share the unforgettable experience of this challenging country sport at Old Down. Test your reflexes and discover the marksmen in your midst. Take on an ancient outdoors challenge and learn from our instructors, master the equipment, and hit your mark at the archery range at Old Down. Put your team to the test as you climb, crawl, and navigate your way through the obstacle courses at Old Down. Find out and understand your best range of colours for make-up and clothes. You will discover the exact shades of colours to enhance your skin, hair and eyes. Learn how wearing the right colours can make you look younger. A back, neck, shoulder and head massage can help to relieve headaches, eye strain, muscular aches and pains as well as helping with concentration levels, fatigue, boost morale and generally promoting good health. Massage offered on an individual basis or in smaller time slots for larger groups. Just a quick note to say many thanks to you and all your staff for the lunch on Thursday. The venue was perfect and the food and service were top class. The Old Down staff were excellent, the food and drinks very prompt and our team really enjoyed the activity!